To be able to develop your long-awaited abs or the so-called six pack in your abdominal area, you have to download Runtastic Six Pack for your Android device. This app is a realistic virtual fitness coach. A very realistic virtual personal trainer. Workout routines specially developed to work on your abs. Personal training depending on your needs. Furthermore, you can encourage yourself with the music packs or sharing your progress on social networks. 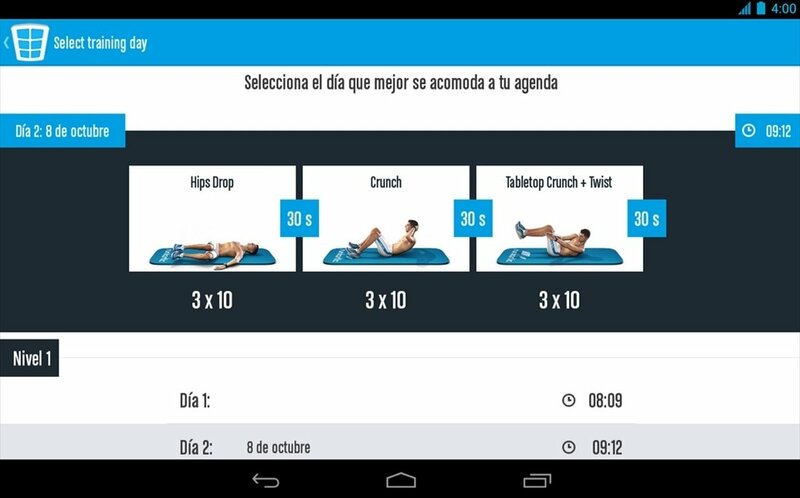 In Runtastic Six Pack you will find the best exercises to strengthen your abdominal area. With determination and these workout tables you will soon manage to accentuate your six pack.